The 1972 Datsun 620 was this pickup truck’s first model year. It was released in February of 1972 and remained in production until 1979. This truck came in multiple different styles and was called the Datsun 680 in South Africa, the Datsun 1500 in Argentina and Costa Rica, and the Yue Loong 753 in Taiwan. The Datsun 620 was available in multiple different configurations to meet a range of needs. The regular cab was the only option, but you could choose from one of two wheelbases and multiple models. 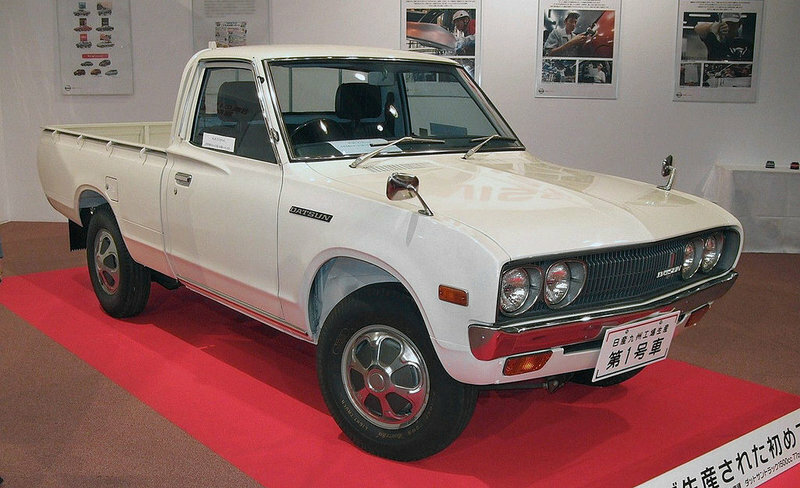 In 1977, the manufacturer added a “King Cab” which was a bit longer and Japan also got a delivery van. Other configurations included the bare chassis models and the U620, a crew cab version referred to as a “utility” model thanks to its shorter and fully-integrated bed that allowed seating for four. The U620 was basically a 620 truck in front of the doors, while the bed and rear were different. 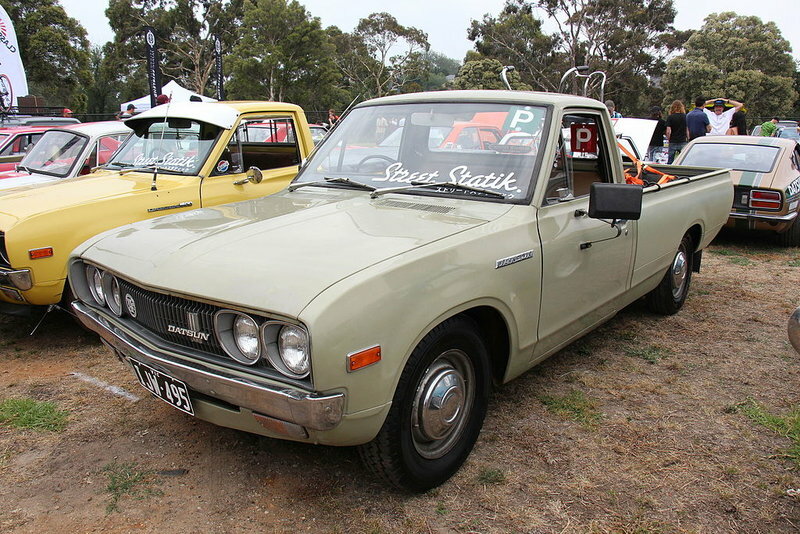 Some of the styling elements found on the Datsun 620 were familiar from previous Nissan models, including the “Bullet Side” accent and “wing line” on the vehicle’s side. This particular Datsun went by “Little Hustler” in the United States and the “Sportruck” in Canada. 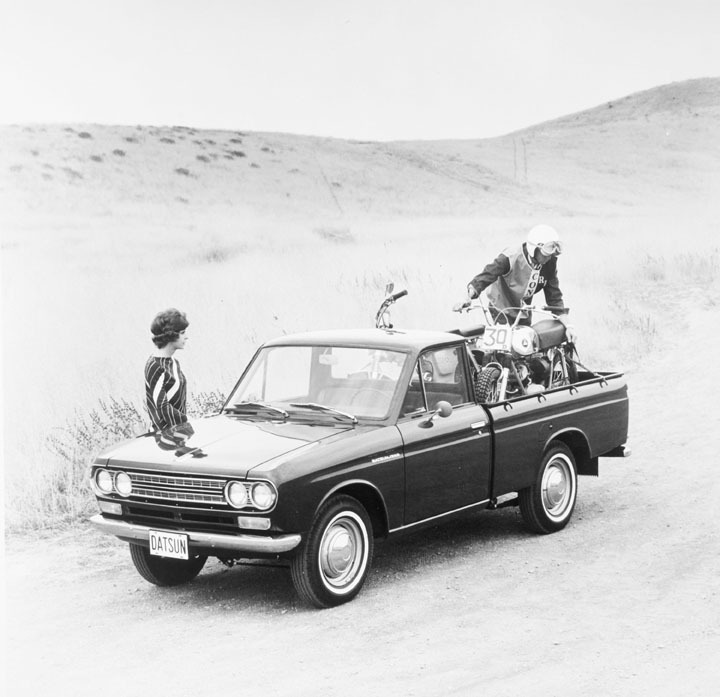 Most people treated the Datsun 620 as a car, not a truck, with few owners actually using it for pickup-friendly work. The North American versions of the Datsun 620 used the popular Nissan L engine. The 1972 and 1973 versions used the L16 to get 96 horsepower. Those interested in later Datsun 620 models will notice the L18 with 100 horsepower in the 1974 model and the L20B with 110 horsepower in later models. The truck had an EGR system that controlled pollution and made it eligible for sale in California without requiring a catalytic converter. In 1972 and 1973, a four-speed transmission was standard, with a different four-speed becoming standard after 1973. 1977 saw the new option of a five-speed manual. Interestingly enough, the 1972 Datsun 620 was the very first series with the option of an automatic transmission, since previous Datsun model series only offered manuals. The Datsun 620 earned a reputation for being highly reliable and durable, which means that you can find models today that are still in good working condition. A quick search will show you at least several Datsun 620s for sale, although this truck is not as popular as other classic vehicles from the age. You should also be able to find parts that are either for your specific Datsun or compatible. In fact, some auto enthusiasts suggest getting the 1972 Datsun 620 if you want an affordable project to work on. There is also plenty of online interest in this particular Datsun model. So, you can find additional support online to help you repair or customize your classic truck.